A young girl in a garden, surrounded by high walls. 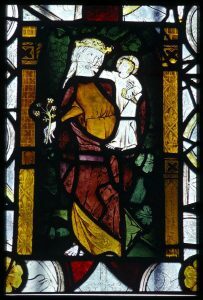 A strange idea came upon me last year to track down images of the Virgin Mary as depicted in stained glass. This forgotten English vision of Our Lady in a ‘hortus conclusus’, or Enclosed Garden became a fascination for me, as I tried to piece together what our Medieval art heritage would have been like before puritanical concerns completely wiped out visual arts in this country. I have a passion for Renaissance art, so I decided to pull together pre-Reformation English visual motifs that inspire me to create a visual sourcebook for spiritual and visual inspiration. As I progressed I realised that this was both a visual and a spiritual journey. I also realised that English Medieval art history is both oddly neglected and exciting because they are discovering new finds at the moment. Medieval England is not what we thought it was and many myths about the period are being revised. A thorough detox of the Medieval history we have been taught is needed, so as to truly understand what a surprisingly sophisticated country England was before the Reformation. For starters did you know that thirteenth century England was much warmer that contemporary England? The climate was similar to that of Italy now, and monks at Westminster grew olive groves and vineyards. I think this warm feeling transmits itself into the art of the time. The precious few examples that remain to us hint at a golden age in some ways – if you squint a little there is a sense of a gentle, wholesome England abounding with blonde haired virgins and luminous angels. Perhaps most impressive of all is the image on the front cover of the brilliant history book, ‘The Stripping of the Altars’ by Eamon Duffy. It depicts a rood screen that was white washed over by the iconoclasts and painted with a stern bible verse in black letters. The whitewash has worn away, so that now the image of Christ peers through behind the bible verse. It is wonderfully evocative. 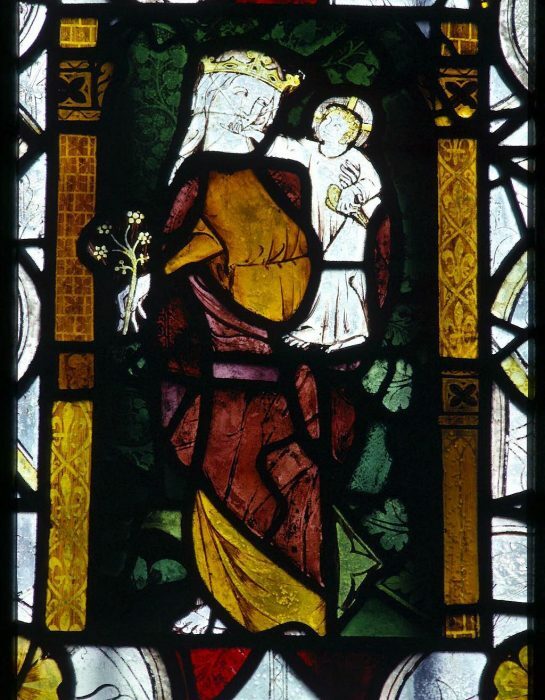 Why does Medieval English art matter? Well, for one thing there are some stunning examples of English Medieval art and it’s a shame we don’t have more. England lost 97% of its visual culture when it was destroyed by Reformation and Civil War iconoclasts. I believe it was a spiritual blow and an artistic one. And yet if we really set our minds to it we could gather up so many examples forgotten in attics around the country. We need to try to restore and protect our heritage from pre 1531 as it is part of our identity. This project is part history – part spirituality – part wellness. Follow my blog in order to be kept up to date with my findings. I would love to hear your thoughts, so please support the blog, comment below, share, make some noise! And do follow this blog and/or my twitter feed for updates.